January has been a month of grim statistics in Chicago. As I discussed in this column a few weeks ago, we finished off the year with the highest number of homicides in two decades—783 according to the Chicago Tribune’s most recent count. And last week, in response to a Freedom of Information Act request I submitted, the Chicago Police Department disclosed that 113 people died in traffic crashes on our city streets last year, including 44 pedestrians and six bicyclists. A recent preliminary analysis by the Chicago Department of Public Health found that residents facing high economic hardship suffer a crash fatality rate nearly twice as high as those facing low economic hardship. So traffic violence, like gun violence, is a social justice issue. On top of all this, the U.S. Department of Justice released its report January 13 outlining widespread civil rights abuses stemming from the Chicago Police Department’s use of force. The Chicago Department of Transportation has previously stated that traffic enforcement (as well as infrastructure and education) efforts related to the city’s Vision Zero plan to eliminate crash deaths will be concentrated in parts of town that are most impacted by serious and fatal collisions. These are largely the same lower-income south- and west-side neighborhoods where most of the shootings take place. But, as the DOJ report outlines, these communities are already plagued by police abuses, so there’s the potential for an increase in traffic stops to make that problem worse. 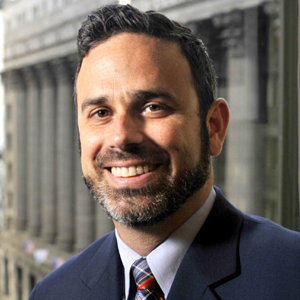 As I considered these issues last week, I recalled an off-the-record conversation I had with former Chicago transportation commissioner Gabe Klein in August 2013, a few months before he resigned from the job. Klein has now granted me permission to talk about that discussion. Our conversation took place during the thick of the backlash against the city’s automated enforcement program, including hostility from south- and west-side aldermen and their constituents who viewed the $100 traffic camera tickets as an unjust hardship. During our talk back then, Klein briefly discussed a law-enforcement approach based on the theory that curtailing truly dangerous driving—such as excessive speeding, blowing red lights, and DUIs—in high-crime neighborhoods could also help prevent other kinds of serious lawbreaking, including gun violence. This was among the reasons Klein now says he pushed for the speed camera program, which had debuted that summer. Klein’s now a Washington, D.C.-based transportation consultant (and a board member of Streetsblog Chicago’s parent organization). Free of the strictures of political life, he was willing to talk openly by phone last week about this strategy, which, as commissioner, he unsuccessfully petitioned the CPD to try. Data-Driven Approaches to Crime and Traffic Safety, as it’s called, was thought up by the National Highway Traffic Safety Administration and the U.S. Department of Justice and outlined in a March 2014 report. This approach encourages officials to analyze the locations and times when crashes, crimes, and calls for service occur. Then, using this information, officials can identify “hot spots”—locations and times when serious incidents are likely to occur in the future. The report advises police departments to target these problem areas with highly visible traffic enforcement efforts, such as posting officers at intersections or installing red light or speed cams—which can also legally be used for general surveillance—to deter various types of serious lawbreaking. “This model affords communities the dual benefit of reducing traffic crashes and crime, thus reducing overall social harm,” the report states. Before he left town, Klein was in talks with the feds about piloting the model in Chicago, he says. Klein claims he repeatedly lobbied the Chicago Police Department to adopt this strategy while he was commissioner, arguing that the model could help Chicago lower both its crash fatality and homicide numbers while also reducing incidents of profiling. But Klein says there wasn’t a lot of interest from the police department, which is why the data-driven approach was never tried in Chicago. “We didn’t have much luck because they were so focused on dealing with ‘serious’ crime, and there’s often a view that traffic policing is sort of the lowest form of policing and the police have ‘real’ problems to address,” he says. However, Klein argued, when reckless driving is tolerated, it creates a general atmosphere of lawlessness. “As long as the car is king and you can drive however you want and not face any repercussions, it creates sort of a Wild West situation,” he says. Police spokesman Frank Giancamilli said he couldn’t immediately verify whether CDOT discussed the data-driven DDACTS model with the CPD while Klein was commissioner, or comment on whether the police department is in favor of this approach. 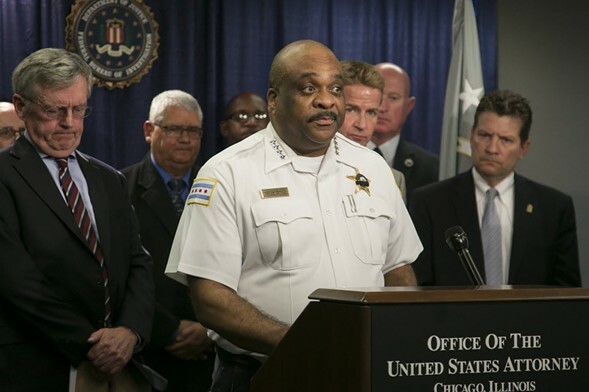 He instead referred me to remarks by police superintendent Eddie Johnson from a January 1 press conference in which Johnson identified “targeted, data-driven enforcement” as one of the “three pillars” of the department’s crime strategy this year, along with addressing the flaws in sentencing guidelines for repeat gun offenders and better community engagement. Likewise, CDOT spokesman Mike Claffey didn’t immediately confirm whether his department discussed the data-driven approach with police when Klein was commissioner. Asked whether CDOT currently endorses that federal policing model, Claffey said the transportation department couldn’t comment on CPD strategy. Although Klein—and the the authors of the 2014 report—make a compelling case for adopting this data driven approach, some transportation justice advocates say decision makers should proceed with caution before using increased traffic enforcement as a crime-fighting strategy. 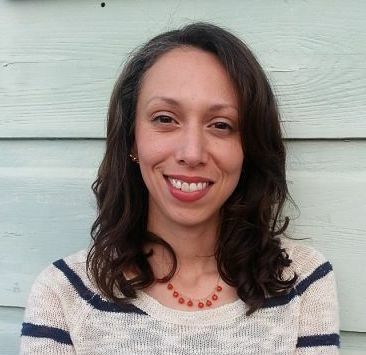 New Orleans-based transportation equity consultant Naomi Doerner, for example, points out that streets in black and brown neighborhoods are often wide, crash-prone speedways, due to car-centric urban planning that historically targeted communities of color. It’s important not to compound that injustice, she argues, by overly concentrating traffic cameras along these corridors. She also says that zero-tolerance enforcement campaigns typically result in police disproportionately ticketing and jailing African-Americans and Latinos after traffic stops for minor offenses. But Klein believes that if our city adopts the federal government’s place-and-time-based, data-driven enforcement strategy, it could make a positive difference on all fronts. If police opted for more officers patrol on foot or bikes rather than in squad cars in addition to the model of targeting specific crash and crime hot spots, Klein argues, this could help improve relations between the police and residents. “That way the police are there as a more of a friend of the community, being proactive rather than reactive,” he says. After checking out the report on Data-Driven Approaches to Traffic and Crime Safety and discussing it with Klein, I’m convinced that the approach makes sense. Hopefully local leaders will take a second look at this model in conjunction with the city’s Vision Zero efforts. While there were almost seven times as many homicides as crash fatalities in our city last year, this tactic could address both problems more effectively, while also making policing more just. Rock on, Gabe Klein. This has been the 800 lb. gorilla in the room for at least 20 years. seniors, are vulnerable on the streets of the entire City, especially given that the standard speed limit is 30 mph. Automated enforcement may reduce bias in catching people breaking the law, but the issue of the fines (and escalation of fines for late payment) has been blamed for being regressively punitive. It can be said, though, that red light cameras will catch photographic evidence of people leaving the scene of a shooting. STFU GABE! Get out! No one wants you. Go cry with Gary McCarthy you whining slob. Two excellent points. Automated color-blindness and regressive enforcement. The second point dovetails with the criminalization of African Americans in general and black youth in particular. Just as drug use should be treated as a medical problem so should bad driving be treated as a social problem rather than a criminal problem. So yes once again progressive approaches have a real chance of addressing these societal issues that have been mired for half a century in moralistic right wing authoritarian punitive approaches that the Daley’s and Imanuel subscribe to. The issue is complicated by the fact that Chicago's underserved neighborhoods seem to be disproportionately impacted by serious and fatal crashes. A presentation at last week’s Mayor’s Bicycle Advisory Council meeting indicates that the city has made some progress on the plan and we should be seeing the fruits of their labor soon.